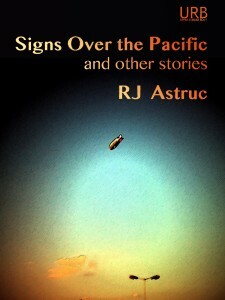 Signs Over the Pacific and Other Stories: released on 24 June 2013. ISBN 978-1-937794-27-9 (epub) is available for iPad, Nook, etc. from the Apple iStore (AR, AT, AU, BE, BG, BO, BR, CA, CH, CL, CO, CR, CY, CZ, DE, DK, DO, EC, EE, ES, FI, FR, GR, GT, HN, HU, IE, IT, JP, LT, LU, LV, MT, MX, NI, NL, NO, NZ, PA, PE, PL, PT, PY, RO, SE, SI, SK, SV, UK, USA, YV) ; Barnes & Noble (USA) ; Chapters Indigo (Canada) ; Kobo (USA), Novel Depot (USA), and Weightless (worldwide; US currency). ISBN 978-1-937794-25-5 (mobi) is available for Kindle on Amazon (AU, BR, CA, DE, ES, FR, IN, IT, JP, MX, UK, USA) and at Weightless (worldwide; US currency). ISBN 978-1-937794-26-2 (pdf) is available at Smashwords and Weightless (worldwide; US currency). In this enchanting and sometimes gruesome collection of short stories, New Zealand author RJ Astruc tells several intertwined tales, about the libertine engineer Val, the thief Bink Ottoman, the all-powerful a-class AI RESYS, the famous international terrorist Bouboucar Bottle and the not as well-known international terrorist Katya Sushi, and a whole cast of airship dwellers, Interpol agents, geneticists, mutants, holograms, and others living on the cutting edge of morality. There are zero teddy bears having zero picnics in this book, and in fact I am now a little frightened that Astruc will see this comment and write a story about a teddy bear picnic of betrayal, greed, and casual experimentation on live subjects. …These stories won’t be to everyone’s taste; nothing is. But they’re very well-handled and doing something that will probably appeal to people who wanted to like Paolo Bacigalupi’s The Windup Girl, whether they found that work successful or not. —Marissa Lingen, “Signs Over the Pacific and Other Stories, by R. J. Astruc,” Novel Gazing Redux, 11 June 2013. “Regret Incorporated” (with Andy Astruc), Daily Science Fiction, 27 September 2011. “Johnny and Babushka,” Electric Spec, 30 November 2010. “The Perfume Eater,” Strange Horizons, 16 July 2007. Find a more complete list at the author’s website. RJ Astruc lives in New Zealand and has written two novels: Harmonica + Gig and A Festival of Skeletons. RJ’s short stories have appeared in many magazines including Strange Horizons, Daily Science Fiction, ASIM, Aurealis and Midnight Echo. 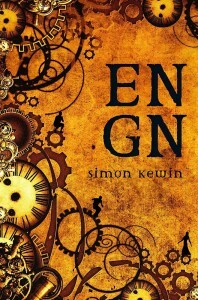 ISBN 978-1-937794-27-9 (epub) is available for iPad, Nook, etc. from the Apple iStore (AR, AT, AU, BE, BG, BO, BR, CA, CH, CL, CO, CR, CY, CZ, DE, DK, DO, EC, EE, ES, FI, FR, GR, GT, HN, HU, IE, IT, JP, LT, LU, LV, MT, MX, NI, NL, NO, NZ, PA, PE, PL, PT, PY, RO, SE, SI, SK, SV, UK, USA, YV) ; Barnes & Noble and Kobo. ISBN 978-1-937794-25-5 (mobi) is available for Kindle on Amazon (AU, BR, CA, DE, ES, FR, IN, IT, JP, MX, UK, USA). ISBN 978-1-937794-26-2 (pdf) is available at Smashwords.